You can use your existing toll free number with any provider or get a new number from UniTel Voice. Your customers send your toll free number an SMS text message. You receive the SMS text message as an email. You reply to the email and your customer receives it as an SMS text from your number. You reply to that email and your customer receives it as an SMS text from your number. Why you need toll free SMS texting. 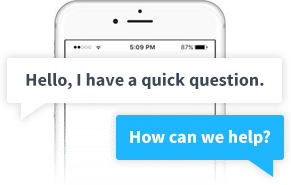 Allow your customers to text questions to your support team. And instead of waiting on hold, let them send a simple text to get in the queue for an agent callback. Run a promotion! Allow customers to text a promo code or promo word for a special discount or giveaway. Millions of business do it every day, and now so can you! A few common questions about Toll Free SMS Texting. Yes! Toll free SMS text messaging is a new technology that only a handful of toll free service providers (such as UniTel Voice) are now offering. Only recently have toll free numbers been able to connect to the SMS system in the U.S. and Canada. In the past carriers that received an SMS text message destined for an 800 number would not deliver it, as there was no mechanism for routing such messages, until now. Can I keep my current toll free number with my current provider? SMS toll free texting is a new service by UniTel Voice that allows you to both receive and send text messages using your toll free number. People can send an SMS text from their cell phone to your toll free number. How does toll free text messaging work? Now you can enable toll-free number text messaging, which means people can send text messages from their cell phones straight to your toll free number. The text message is then converted to an email and sent right to your inbox. You can then reply to that email, and the message will be sent back to the person who texted you. They will receive that message as an SMS text from your toll-free number. 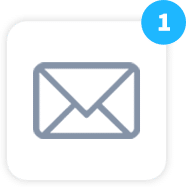 If you prefer to manage your text messages via an online dashboard, you can also login to a toll free texting dashboard, and manage your messages. Why is toll free SMS texting useful for customer support teams? Up until recently, there were not a lot of toll free numbers that could accept text messages. Texting is something that 75% of also phone users do. It’s convenient, simple, fast, and easy. And toll-free texting service is great for customer support teams. If a customer has a quick question they can text your support team for a quick answer. If a customer calls your toll-free number for help, instead of waiting on hold they could simply text to be placed in the call back queue. Imagine how happy your customers would be if they could simply receive a text message when an representative is now available to assist them. Why is SMS toll free texting useful for sales and marketing teams? Its perfect for running promotions and direct response advertising campaigns. Now more than ever, people use their cell phones to look up information and interact with companies. SMS text messaging for toll-free numbers opens up a new powerful touch point for marketing opportunities. This technology lets customers help themselves get more information immediately using their mobile devices. It opens up a new convenient way to interact with your customers and potential customers. 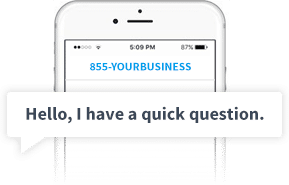 Customers can text your company to receive account information, FAQs, giveaways, promotions, coupons, appointment reminders, and loyalty rewards info and more. How much does SMS toll free number texting cost? Toll-free texting is a relatively new technology but it’s catching on quick. You’ve probably seen radio stations asking their callers to text their toll-free number or even restaurants allowing customers to text their restaurant to receive promotions, menu options, or even to let customers know their table is ready. Businesses from all walks of life used toll-free texting to communicate with their customers. Many companies are now allowing customers to simply text message their customer support team rather than wait on hold. Now instead of waiting on hold, listening to on hold music, customers can receive a simple text message letting them know that a representative is now available to speak with them. Even member based professional associations and nonprofit organizations can benefit from this technology. In fact, the National Restaurant Association (NRA) recently implemented toll free number SMS texting as a new way for customers to interact with their organization. The NRA discovered that they were 8 times more efficient in handling customer requests and the new system reduced their voicemail log by 80% since launching toll free SMS texting capabilities. Do I have to us UniTel Voice’s toll free number service to enable SMS texting? What are the benefits of SMS toll free texting service? SMS toll free texting service gives your company another touch point to engage your customers. It’s a fast, easy, affordable and convenient way to communicate with your customers and potential customers. For customer service teams, it can help you provide your customers with information more quickly and efficiently. It can also reduce the amount of time your customers wait on hold. Less hold music usually means happier customers. It’s also a great tool for your sales and marketing team. You can invite customers to text your company for promotions, coupons, and other giveaways. Your customers are already using text messaging because it’s a fast, easy, and convenient way to communicate with friends and family. And now it’s the prefect tool for customer relationship communication. Get up to 500 monthly texts for just $5 a month!